From the memory of Soviet famine to how a Sioux chief was buried in Dresden, here are this week’s top picks in imperial and global history. Larissa Tarkhanova well remembers the Soviet-era rituals of lining up, often for hours, to obtain basic foodstuffs in the “grocery stores” of those days. As a clerk in a pretty well-stocked local food shop, Ms. Tarkhanova says she knows how far her country has come, generally supports its leadership, and seldom complains about anything. But today something has upset her – the Kremlin’s destruction of perfectly good food. 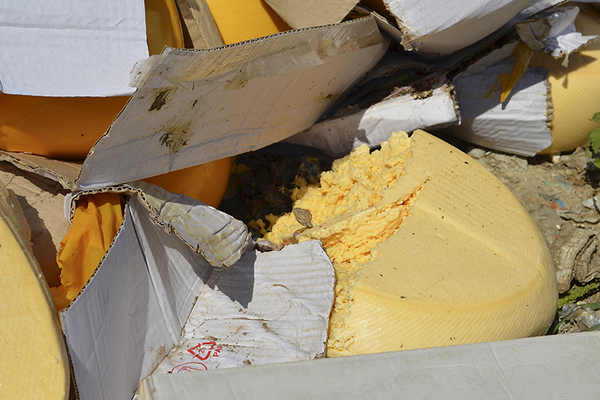 A broken head of cheese lies on the ground as illegally imported food is bulldozed in Russia’s Belgorod region. Reuters. In Part One of “The Great Sushi Craze of 1905″ I introduced to you what might have been the first real Japanese restaurant in the United States, a bare-bones place that opened in the summer of 1889 at 84 James Street in downtown New York City. 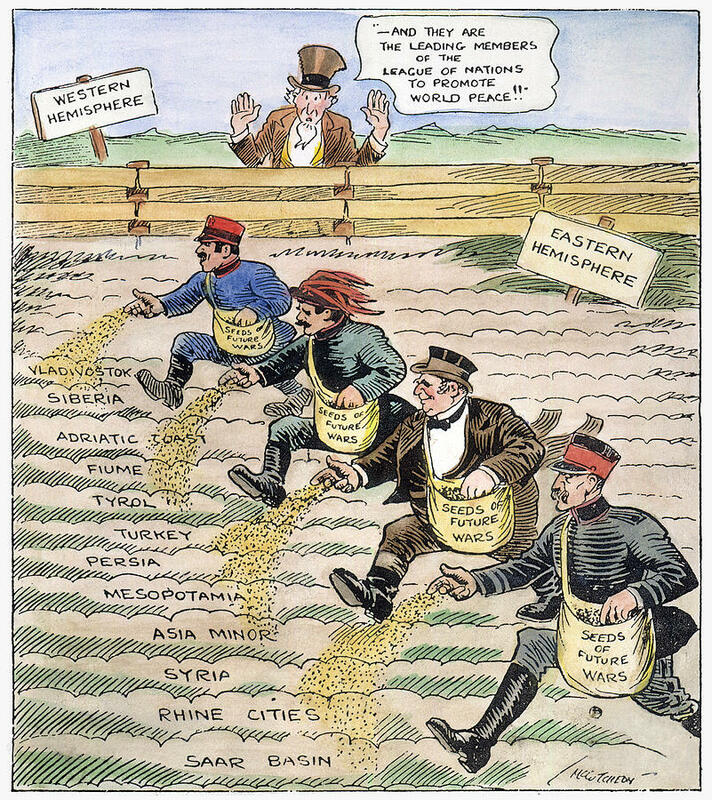 That year’s August 31st issue of Harper’s Weekly gave this unnamed restaurant a five-star review, complete with an engraving of stout Americans in pince-nez giving their order to a prissy waiter. If you recall, the story of the possible first Japanese restaurant ended with a cliffhanger, a curious newspaper clipping that reported that the restaurant had closed for good on September 1st, the day afterHarper’s Weekly published its review. 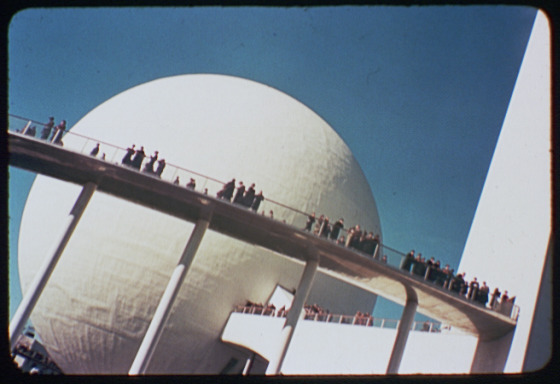 The World’s Fair of 1939-1940 was conceived as a way to pull New York out of the doldrums of the Great Depression. The fair’s theme was “Dawn of a New Day,” and in order to create this gleaming vision of the future, the vast ash dumps of Corona, Queens were transformed into a glittering playground with expansive displays from 60 countries, all trying to out-do one another. The USSR built a life-sized replica of a Moscow metro station. In the British Pavilion, visitors could marvel at the Magna Carta and the Crown Jewels, while in the French Pavilion, the celebrated Le Pavilion restaurant proved so popular it would move to Manhattan after the fair. An oblique view of the Helicline, the curved walkway that led to the Perisphere. (Photo: Library of Congress). At a Catholic cemetery in Dresden, Germany, the inscription on a weather-beaten tombstone reveals who was buried in the grave in 1914: Edward Two Two, Sioux chief. So where did he come from and why was he buried in Germany, thousands of kilometres away from his native homeland? This film tells the fascinating story of a Sioux chief from South Dakota who came to Germany as part of one of the so-called human zoos. In those days, people who fulfilled the local audience’s desire for the exotic would be taken from all over the world and presented in elaborately choreographed shows.